925 solid sterling silver – 22ct yellow gold plating optional. Pendent size – approximately 1.7 cm across and 1 cm from top to bottom. 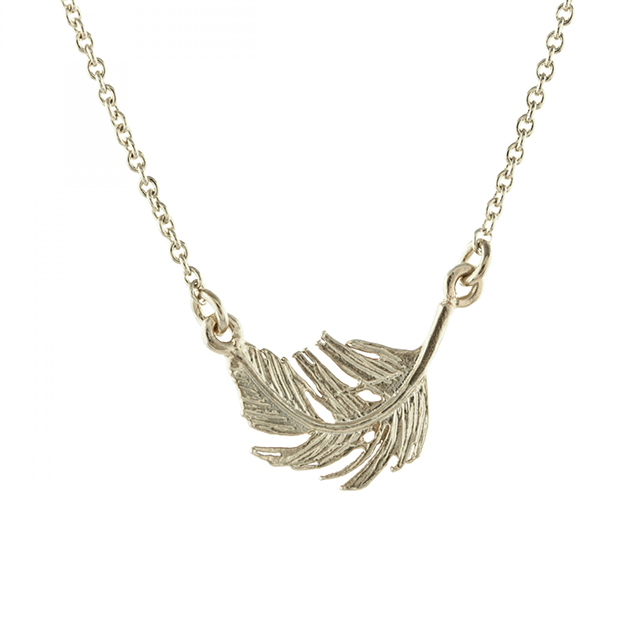 This delicate necklace captures the detail of a gently falling feather perfectly. The dainty pendant is fixed on an adjustable fine chain to compliment and can be worn at either 16 or 18 inches in length. 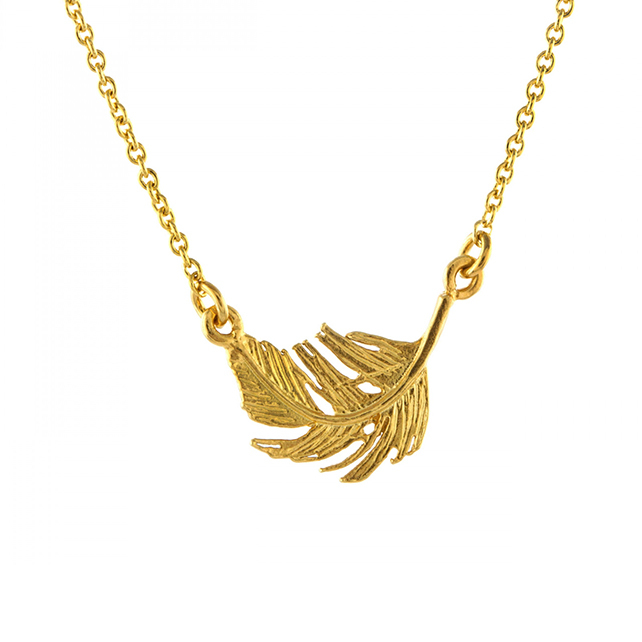 Handmade in London from sterling silver and available plated in 22 ct gold.